If you pay attention to streaming ads, you’ve probably heard and seen lots of insurance companies. 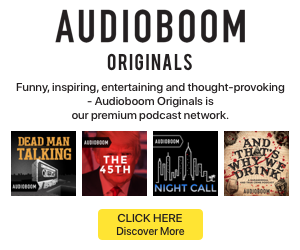 According to a recent Media Monitors report, insurance companies hold the top three spots (GEICO, Progressive, Liberty Mutual) in national radio ad placements, and we encounter GEICO ads frequently in streaming music services and in YouTube. 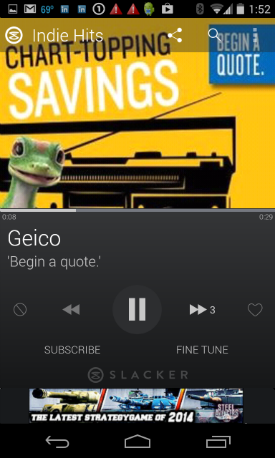 In XAPPmedia’s report on streaming audio ad loads, GEICO is listed as a top streaming advertiser. GEICO’s creative agency, The Martin Agency, has won awards for its work on GEICO campaigns, and has built a specialty in branded creative that doesn’t have much (or anything) to do with the product. Entertainment is always part of the strategy. This month, Martin and GEICO released video ads that attempt to interrupt the user’s reach for the Skip button. The marketing spot is five seconds long — the required play time before a skip in YouTube. But then, hilariously, the video continues with a dog rampaging through the set populated by stock-still actors who have difficulty maintaining their statue-like positions. The Martin agency shows off that ad, and two other “You can’t skip this ad because it’s already over” creatives, here, here, and here.